When I was told about Borawan I became curious. Why named the place Borawan. Found out its the combined name of Boracay and Palawan. 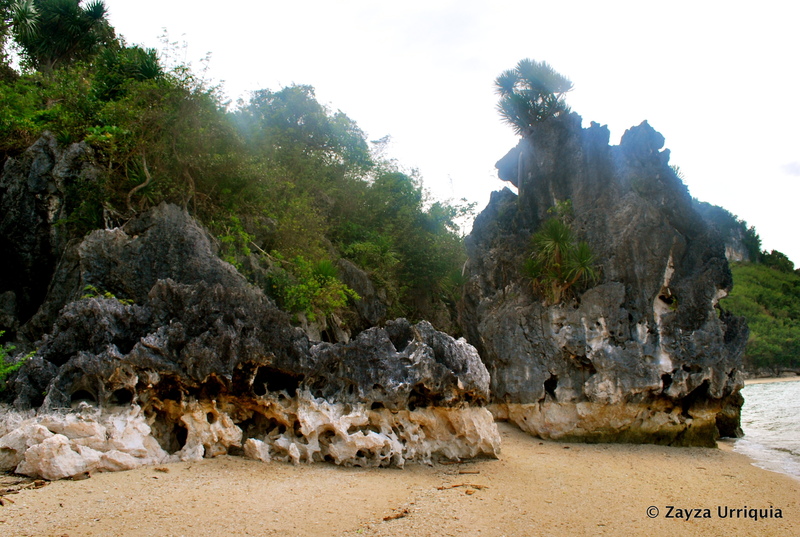 Twas said that it has the white sand of Boracay and fascinating rock formation and pristine water of Palawan. We left Manila early. Amidst of warning not to pursue this trip due to tsunami we still went on and continue what has planned. After lunch we rest for a while, we decided to do the island hopping by 2pm. Its scorching hot outside. No sign of tsunami. 😀 Staff assured that its safe to stay here. 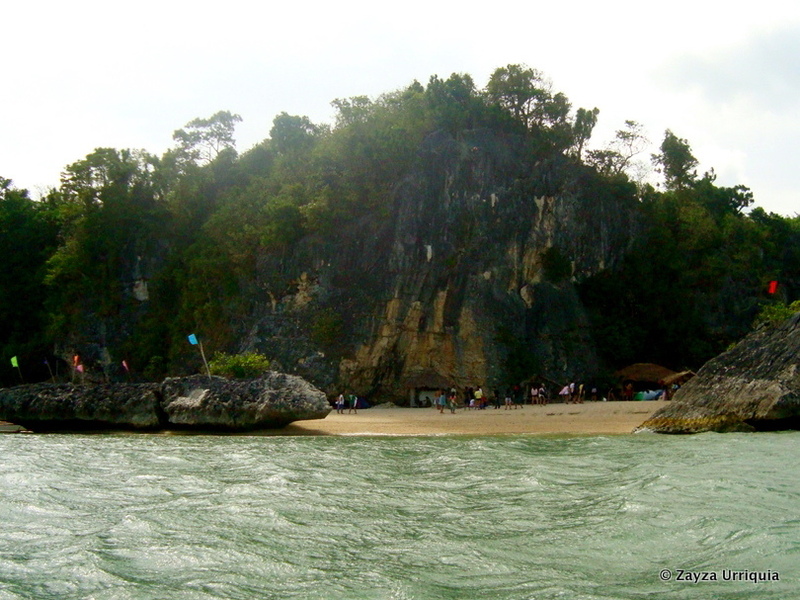 Borawan Island is in Padre Burgos, Quezon. 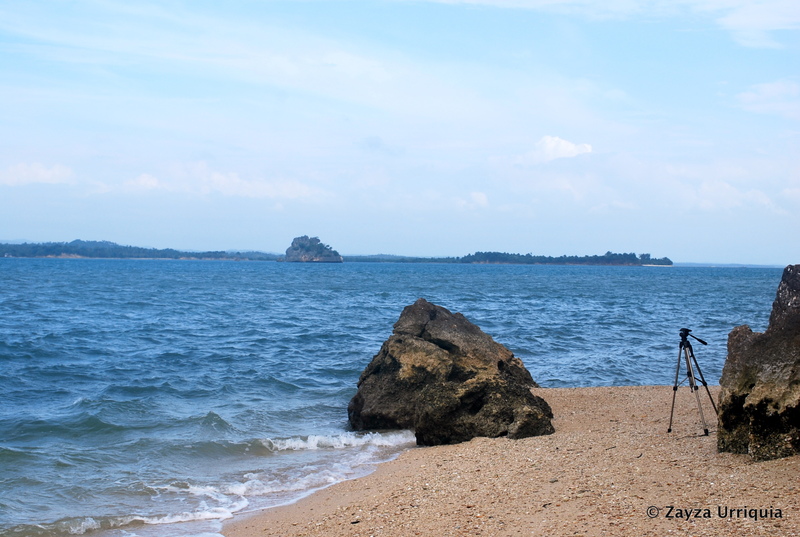 It’s a good 15-minute boat ride from the shore, the jump off point also to Puting Buhangin. We got the tour from Tamarind Resort. Two islands for the price of 1200. Its a bit pricey compare to the price you’ll get outside. But its ok they provided life vests so its fine with us. No accommodation available. If you want to stay here you must bring your own tent. When we arrived there’s a lot of tents set up. The island is small so it’s a bit crowded. Someone was rappelling when we arrived. I’m not sure if they’re the one who set that up. Or it’s really there. They’re a group of mountaineers who seems really adventurous. We didn’t pay any entrance fee. At first we’re a bit disappointed because we thought we can have the island for ourselves just like the resort were staying at. Haha. Second, we didn’t know where to go because tents occupied most of the space. We decided to go to the other side of the island. 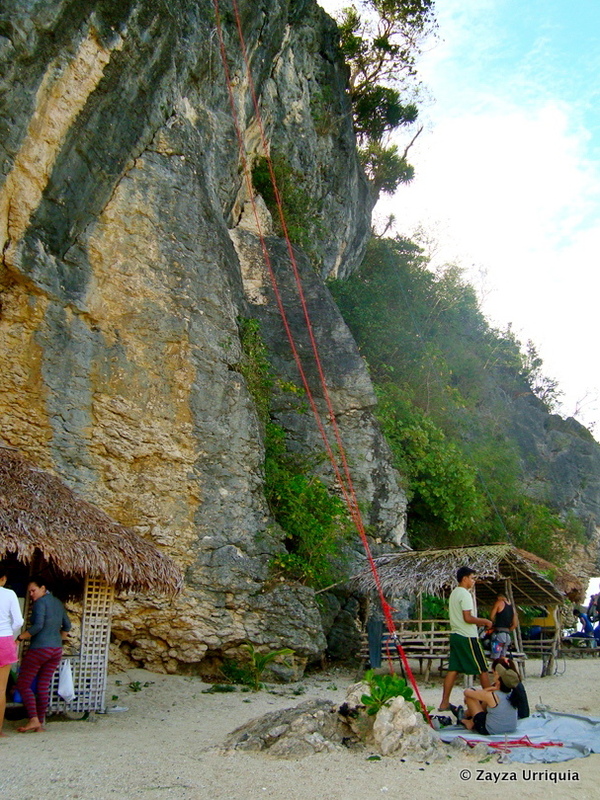 We have to climb a huge rock to get there. But its all worth it because we really had a good view of the place. I so love my tripod for this two-day one night trip. There’s only two of us so we really depended on my tripod. 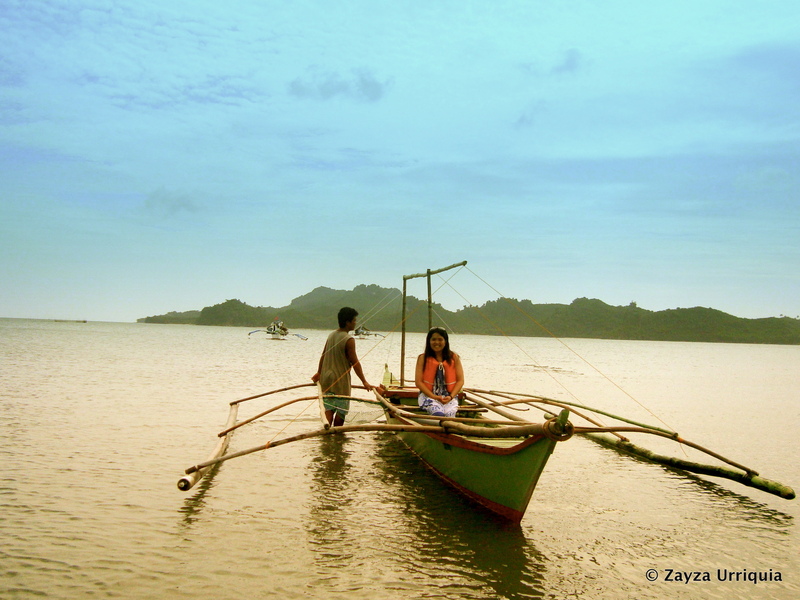 Sometimes we asked our boatman to take pictures of us. I forgot his name but found out that he’s the same age as my youngest brother. I admired him and at the same time pity him for having to work at this early age. We didn’t get the chance to really explore the area. But still I enjoyed our almost two-hour stay. 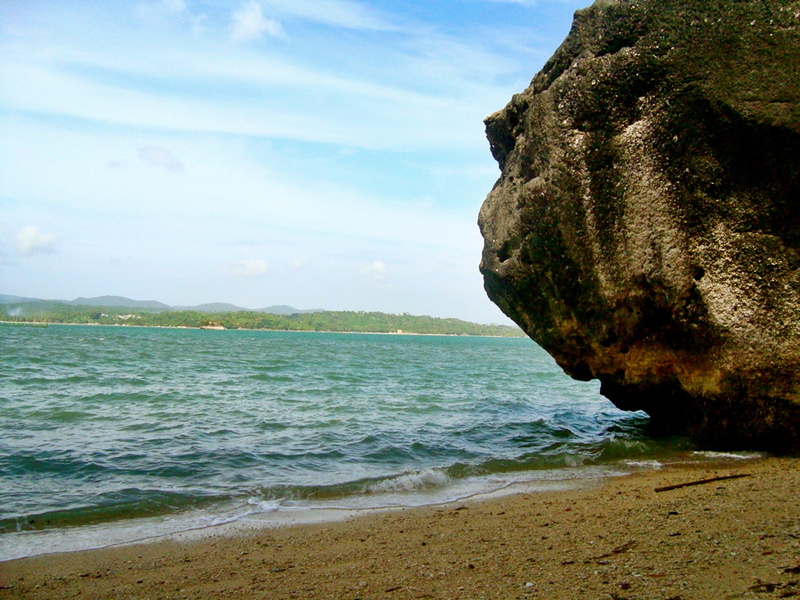 After enjoying the rock formation (for photoshoot, haha) and the view, we decided to go to Dampalitan beach and swim there since Boarawan was crowded. WOULD BE GOOD IF YOU COULD PUT A MAP OF WHERE IT IS! Thanks for featuring and visiting my hometown. The place is indeed a gift to us..
Hope you can comeback, please feel free to contact me whenever you decide and i will arranged you to a bigger boat with a capacity of 15-20 of the same price.. Here is my no. 09178989750 or 09284484684. Thanks again. nice resort i want ot go thiere.